Plastics Engineering Company is a third-generation family-owned business and a leading North American manufacturer of phenolic resins and thermoset molding materials. 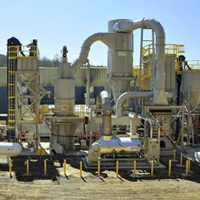 Williams recently sold a DF-64 Pulverizer as part of a modular system. The mill and accessories were shipped to Alabama where the system was assembled and then dismantled for shipping to Khazakstan. A customer in northern Minnesota approached Williams Patent Crusher Company needing to reduce run-of-mine iron ore concentrate coming in by rail car in huge, frozen chunks of various sizes. 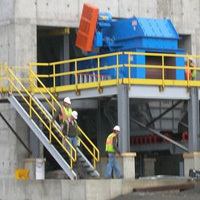 Williams sold a DF-43 Roller Mill to a major lime kiln manufacturer for a plant in Madagascar. The mill is to reduce minus 2” (50mm) bituminous coal with up to 8.8% surface moisture, 43 Hardgrove or softer, to a product 90% or more passing a 200 mesh square hole test sieve, drive to minus 1% surface moisture, at a product rate of 11,077 lbs/hr (5024 kg), dry basis to direct-fire a lime kiln. 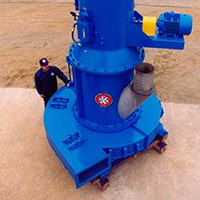 US Business Executive Magazine recently wrote a feature story about Williams Patent Crusher & Pulverizer Company, Inc. that includes an interview with CEO Robert M. Williams, Jr. You can read the story at the magazine's website: www.usbusinessexecutive.com.